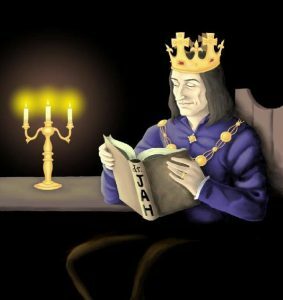 I was delighted last week to discover that Alex Marchant – author of the wonderful The Order of the White Boar and The King’s Man books – was in the process of editing a Richard III anthology to raise money for the Scoliosis Association UK. I was even more delighted to find that there was still time to submit stories to the project, so you can imagine how over the moon I am to have had both stories – Long Live the King and Myth and Man – accepted for the book. The anthology – Grant Me the Carving of My Name – is due out in December 2018. The title comes from the poem (written for the king’s 2015 reinterment) by Carol Anne Duffy, and is used with her permission. A number of noted Ricardians have contributed to the book, including Matthew Lewis (Richard III: Loyalty Binds Me), J. P. Reedman (I, Richard Plantagenet), Jennifer Wilson (Kindred Spirits) and Wendy Johnson (of the Looking for Richard Project). The image here by Riikka Katajisto will be used on the cover. The collection will comprise a range of short fiction, from specially written short stories, through flash fiction, to excerpts from longer Ricardian works, some light-hearted, others darker in tone – hopefully something to appeal to everyone! In fact, the ideal Christmas stocking-filler for any Ricardian – or anyone you hope may become a Ricardian! The anthology will be dedicated to the late Dr John Ashdown-Hill, whose tireless work did so much to further the Ricardian cause. Stay tuned for more news as I get it! I mentioned a few posts ago that a new Kickstarter was about to launch to fund an anthology of sequels to original Arthur Conan Doyle stories from the Sherlock Holmes canon. 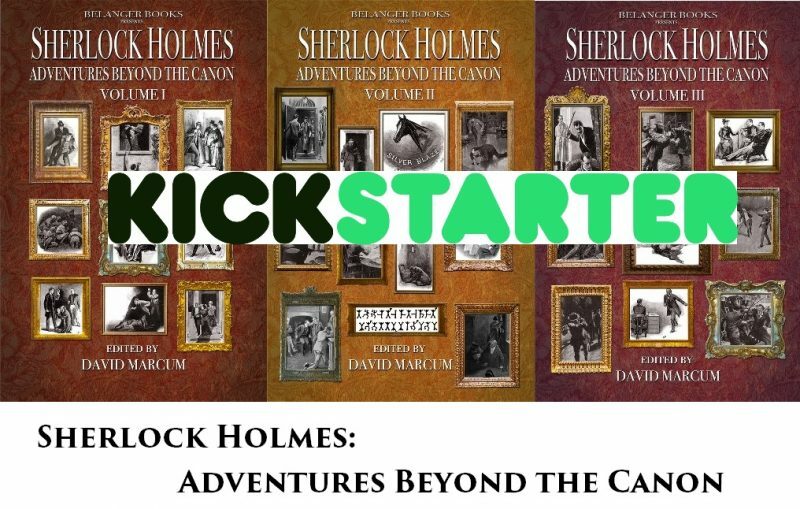 The Sherlock Holmes: Adventures Beyond the Canon Kickstarter campaign was launched on 1 August 2018, and it’s already been fully funded. But that’s no reason to light a pipe, indulge in a seven per cent solution or go and have a flutter on the races (which was more Watson’s vice). 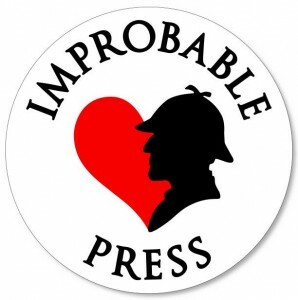 If you back the Kickstarter, you can get hold of any or all of the three volumes, as well as back the book at higher levels and get even more Sherlock Holmes bookish deliciousness for your pains! My story, ‘A Gentleman’s Disagreement’, will appear in the first volume of the anthology. It’s a sequel to ‘The Blue Carbuncle’ and follows what happens almost immediately after the end of the original story. It involves a second theft, some unpleasant accusations, a few incautious comments and a night in a prison cell for Dr Watson. I threw some papers from my chair onto the floor with the others, causing Holmes’s expression to spasm in disapproval, as though I had upset some order within the mess. I cheerfully ignored him as I took my seat, drew out my pipe and packed it from the Persian slipper. I briefly felt sorry for the Countess, so unlucky in love. “His behaviour is scandalous,” I said, lighting my pipe with a match. Holmes threw back his head and roared with laughter in that rare but wholehearted way of his, and I grinned. “You are a diplomat, Watson,” he declared, still laughing. “I was thinking more of the effect of the damp on my old wounds,” I demurred, though his evident concern, then as now, warmed me more than any apology. The Kickstarter also includes interviews with the authors for every day of the campaign, talking about which story they chose to write a sequel to and why, among other things. 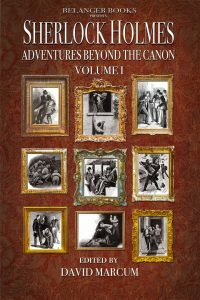 Learn more about Sherlock Holmes: Adventures Beyond the Canon or back it on Kickstarter.